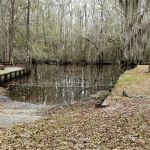 Ask fellow campers about "Savannah Oaks RV Resort" and nearby attractions. We stayed four nights. It was a quiet site. Our site was a pull through which was great. One thing we did not like was in the where we stayed, sites were set up that you pulled in in opposite directions which meant you faced another unit. There were many trees which made pulling in a little challenging and we could not use our awning. There are a lot of permanents which in my opinion detracts from the beauty of this site. Needs some updating. Some roads were narrow for big rigs. Bathrooms and other amenities were not used. 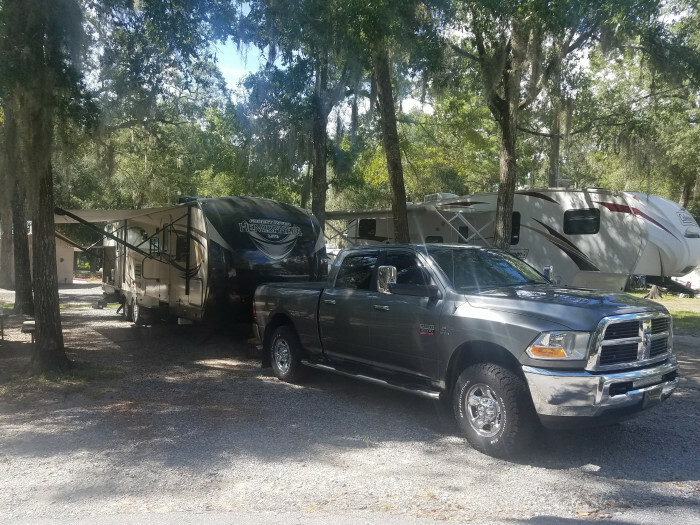 We camped at Savannah Oaks RV Resort in a Fifth Wheel. Stayed here for a quick weekend with our new 5th wheel as a last min shake down trip. 15 min to downtown Savannah, 5 min to gas, 10 to 15 min to Walmart, Lowe’s, Home Depot, and many restaurants for a quick bit to eat. As for the camp ground expect the dirt roads with parts of the road paved. The half the pads are gravel and the other half are paved. If you get a gravel pad do not expect it to be level. They have full hookup and they even offer a cable hook up, water pressure is around 40 psi during the weekend. Wifi is right now around 7 mbps on the weekend. Expect to be close to your neighbor, we have enough room for the awning but not much more after that. Staff is very friendly. The bathhouse look to have been remodeled and are very clean. The laundry area is dated and about half the machines are not working. We camped at Savannah Oaks RV Resort in a Fifth Wheel. Tacos at Flacco tacos is amazing, it’s right next to the Harley dealership and 95. Not fancy just great tacos. Bring bug spay anytime of the year, this is GA, Mosquitos and sand gnats are a real thing most of the year. I live in the area and just wanted to get out for a short camping trip. I stayed here 3 nights. Sites were average size and each site has digital cable TV, internet, water, sewer, electric, and picnic table. I had to "rent" a firepit as there are none at the sites. It sounded worse than it actually was.... it's rent-free if you buy 3 or more packages of firewood at $5.00 each. I'm good with that since I needed the wood anyway. The wood packages made about 2 fires each. This campground had a workout room with gym equipment, a large swimming pool, and a convenience store with lots of snacks, drinks, and emergency camper gear (fuses, cables, etc...). It also has a large kid's play area with very nice equipment and a fenced-in dog area. There's a laundry area with a few arcade games. I was in a site right next to one of them shower buildings. The staff checked and cleaned this building every hour! Lots of long-term campers that were very friendly. Very quiet at night. This campground is about 3 miles from a Wal-Mart and many restaurants. Very easy on/off I-95. All-in-all, nice campground and I will definitely stay here again. 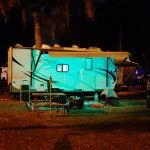 We camped at Savannah Oaks RV Resort in a Travel Trailer. This is not a "resort". We stayed in a Class A motorhome. We made reservations ahead of time, providing the length of our rig as well as the fact we had a towed vehicle. When we arrived we were escorted to our site. At the site the employee was directing me in. Even though I have a rear view and side view cameras I still like to do a walk-around just prior to entering the campsite, specifically looking at the overhead clearance and positioning for hook-ups. When I stopped to do my walk-around the employee told me she has been "doing this for three years", coming across as being irritated that I just did not follow her directions. I then told her that this RV is my home and I have been driving this for four years. The concrete pad was barley wide enough for our motorhome. The rest of the campsite was dirt, small gravel. The site was not long enough for us to park our towed vehicle at our campsite. The site had not been cleared off (I assume that there is a gap between checking out and checking in so the site can be prepared for the next camper) and the wooden table provided was soaked and covered in moss, which made it unusable. This area of the country has high humidity. A heavy duty plastic table would be better suited for campsites. Several of the "residents" do not perform upkeep on their sites. The pull thru sites at the lower campground would have accommodated us versus the one we were assigned. There were also campers that allowed their dogs to run loose as well as left unattended tied to a tree or RV. The campground is labeled as a "Resort". The pool was dirty and the roads in the campground had many potholes. Creek Fire just a few miles away is more of a resort. It has very nice roads, well groomed campsites, the pool was heated and open and they had scheduled activities. I would not stay at this campground again. We camped at Savannah Oaks RV Resort in a Motorhome. Stayed for a week. Unpleasant staff, very abrupt. Sites very close together, Peculiar layout where you face the site next to you and have to look at each other when you sit outside. Dirty muddy and unlevel. Don't stay here with a dish, almost impossible to get signal. They do have cable. Never again. Made the week miserable. 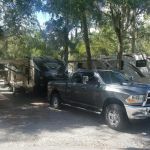 We camped at Savannah Oaks RV Resort in a Fifth Wheel. This park was perfect for a overnight stay while traveling 95. It was about 2 miles off the highway and had fuel and a cracker barrel at this exit so it worked out perfect. I really liked the trees at this campground as it was very natural for the area. The pool was very nice and was open late. Pull through sites were perfect as I didn't have to unhook or level just put down stabilizers for the night. Only downfall was sites ere a bit sandy but that is the area. Will definitely use this campground again for an overnight stay. 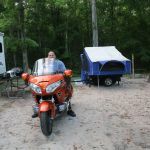 We camped at Savannah Oaks RV Resort in a Travel Trailer. The park was nice with a nice pool and easy access. However the sites were very close together and our front door was the same side as our neighbors front door so there was no privacy. Other than that the people were friendly and all else was good. We camped at Savannah Oaks RV Resort in a Motorhome. After checking in by phone and asked for electric, we were given a site w/o 20 amp service. Only 50 amp was available at our pole. Lots of permanent unattended campers. Bathrooms flooded when the shower was used due to the drain not working. Told the attendant in the office who didn't seem to care. Lots were extremely close, and the gate was hard to use. We camped at Savannah Oaks RV Resort in a Tent Trailer. The roads were extremely bumpy and full of pot holes. Real pain to get in and out of the park. We stayed three nights. Overall this RV Park was just fair and we were a bit disappointed. We had a concrete pad site in which the concrete was barely wide enough for our 25' coach so when the patio door was open the steps extended off the concrete. So zero advantage to having a concrete pad other than very level. The patio area was not concrete and was severely lacking in gravel / rock so mainly had a sandy soil foundation which tracked into the RV. There was not much space between sites. Bathhouse was nice and kept clean. Found the staff to be helpful. 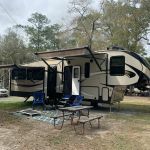 We camped at Savannah Oaks RV Resort in a Motorhome. not good but they have Older park with it appears a lot of permanent residents. It is a little tight turning and exiting the park. WE have a 42' and towing and we got in and out okay. The roads and sites are gravel. Lots of old Florida oaks, so satellite is hit and miss depending on the site. We were in 36 and could not use but they have great cable. We were only there overnight. We camped at Savannah Oaks RV Resort in a Motorhome. Very nice staff. We were escorted to our site. This is a rustic campground. The pads are gravel but rest of campsite is sand. Okay for overnight. They did have a pool but we did not use. We paid the FMCA discount rate of $40 per night for a 50 amp FHU pull thru site with cable and wifi. The site was long and very narrow with a stone pad. A small strip of dirt and grass separates the sites. I was going to give this place a bit higher rating until the guy with the mower showed up. I could not believe it. The discharge chute was fully open with no deflector cover of any sort. From 2 sites away the guy hosed down the side of our motor home with the mower discharge. The discharge was not just grass either, It was acorns, sticks and other debris. Completely unacceptable. I probably would have rated the place a 5 or 6 and as just barely acceptable, but the mower completely changed that. This place is way overpriced and we will never return here. We camped at Savannah Oaks RV Resort in a Motorhome. The mixed reviews here are justified. While it is convenient for a quick overnight from I-95, it has some serious issues. My site sewer connection was surrounded by pieces of toilet paper. When I dumped I found out why. The system must have a partial blockage as it backs up and overflows if more than just a slow flow is dumped. The sites are almost all dirt with very little gravel left. The bathhouses, while clean, are very old and really need to be torn down and rebuilt. Lots of permanent residence but most had tidy sites. My site, like a lot, actually face the front of the person next to you so you both share the space in between. Would be on the bottom of my choices to stay again. We camped at Savannah Oaks RV Resort in a Motorhome. We tried finding another park near Savannah, but this was the only one that could accommodate a 3 week stay. We followed an employee on a golf cart to our site, but the site was too narrow for our 34' travel trailer with 2 opposing slide outs. They did accommodate us with another site, but both were gravel/sand sites. There are a few cement pad sites. We had to go to Lowe's to accommodate our standard sewer hose because the site (89) was smaller than a standard sewer hose. The site had trees for shading, but there were leaves everywhere. The bathhouse needs updating, but were clean. They do not supply paper towels for you to dry your hands off after using the restroom though. The staff seemed friendly enough. The grounds need upgrading. They will have some trouble getting business once the new resort opens down the road from them. There is a pool, but we did not use. They have water access, but we were afraid to put our kayaks in because we didn't know if there were Alligators and Snakes in the area. There is a pool, but we did not use. The WiFi did not work, but we used our Verizon MiFi without issues along with our phones. Not worth the money we paid, but convenient to Pooler, Southside Savannah and Downtown Savannah. We camped at Savannah Oaks RV Resort in a Travel Trailer. Pooler for outlet shopping, Downtown Savannah for everything and Tybee Island for the beach. Very run down and dirty. There was some kind of a water leak under our spot so the ground stayed wet. The spaces are very tight. There was a hole of water in the dog park that was filling with what looked like grey water. No we would not stay in this park again or recommend it. We camped at Savannah Oaks RV Resort in a Fifth Wheel. Other reviews gave a.good description of the park conditions. We were here for an overnight stop. Site 9T, next to the road, trash dumpsters, amd dump station (looked unused). The site required 4- 2"x6" boards to get level. No picnic table or fire ring. Electrical outlets are not covered or protected, no breaker (our site had a meter). Good water pressure, good cable signals, and OK wifi. I would have given one or two more rating points if out so called site had not been so sorry. Most of the sites around us looked to be long term use for people working in the area. 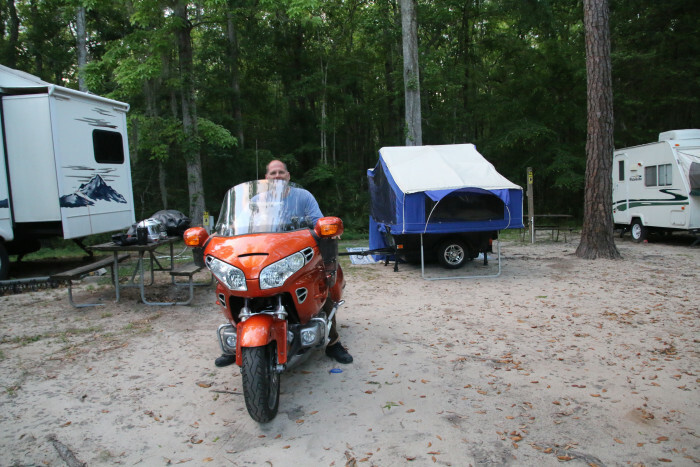 We camped at Savannah Oaks RV Resort in a Travel Trailer. Historic downtown Savannah was quite the experience, lots of history in this town. Just a few miles back on 204 are quite a few restaurants, shopping. Downtown Savannah is about 15-20 min drive. Or a $20 uber ride. Easy drive to Savannah. The trolley tour is a good deal and recommend doing it. However the ghost tour is cheesy and not worth it. Savannah is a great town to just walk around all the squares. Mrs. Wilkes is a must-do for lunch. You do have to wait a while to get in, but you will be glad you did when you roll yourself out after all of that food. I think we counted 23 different items served and they just keep refilling the bowls as needed. It is only a 10 minute drive from I-95 and we found it convenient to the Mighty 8th Air Force Museum and downtown Savannah. Old town trolley tours can be booked at the park office and they will send the trolley out to pick you up between 9-930 am dropping you back at the park around 5-5:30. Are you affiliated with Savannah Oaks RV Resort ?